Be sure your damper operates properly and that there are no cracks in your fireplace or chimney. This could be a firehazard and should be repaired before use. See our products below. 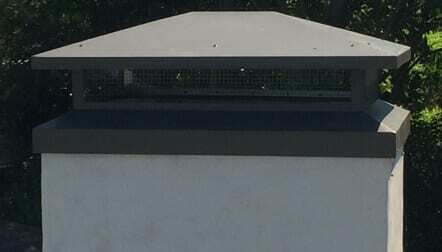 Chimney caps are essential as they prevent birds, animals and rain from entering your fireplace and chimney. Birds and animals nesting in your fireplace and chimney creates a fire hazard and is unhealthy. And the foul odors from their droppings is extremely unpleasant. Rain entering your chimney will rust dampers, flue liners and gas lines, as well as deteriorate the bricks and mortar lining the inside of your fireplace and chimney causing the need for costly repairs. Chimney caps are very essential for keeping your fireplace safe. They keep unwanted material and rain out.. 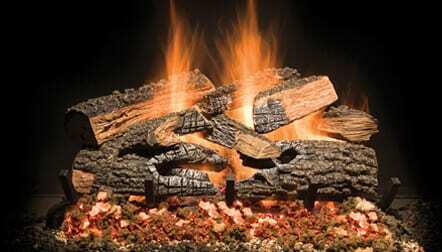 Whether you prefer a traditional gas log or something more contemporary like fireglass or stones, we can help.. 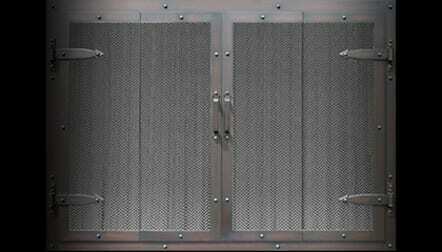 Protect your fire from exiting the fireplace and keep unwanted objects out with a glass door or screen.. I don't do this very often but your company needs to be congratulated. Your abilities and work ethics are commendable. I didn't believe service companies with your character and integrity still existed. Thank you for the way you treated my home and the quality of service you provided. I just want to compliment ChimneyMasterDallas on a job well done. The fireplace is gorgeous and not a speck of dirt or mess was left anywhere. We will definitely recommend you to all our family and friends. The ceramic gas logs you installed for me look and work fantastic! Very polite and professional service. I am in the service business and would like to say you are probably the best I have ever experienced. Thank you for the excellent job. I will definitely recommend you.